V12 Smash Trainer Boot - Black Leather Safety Footwear with Reflective Heels. 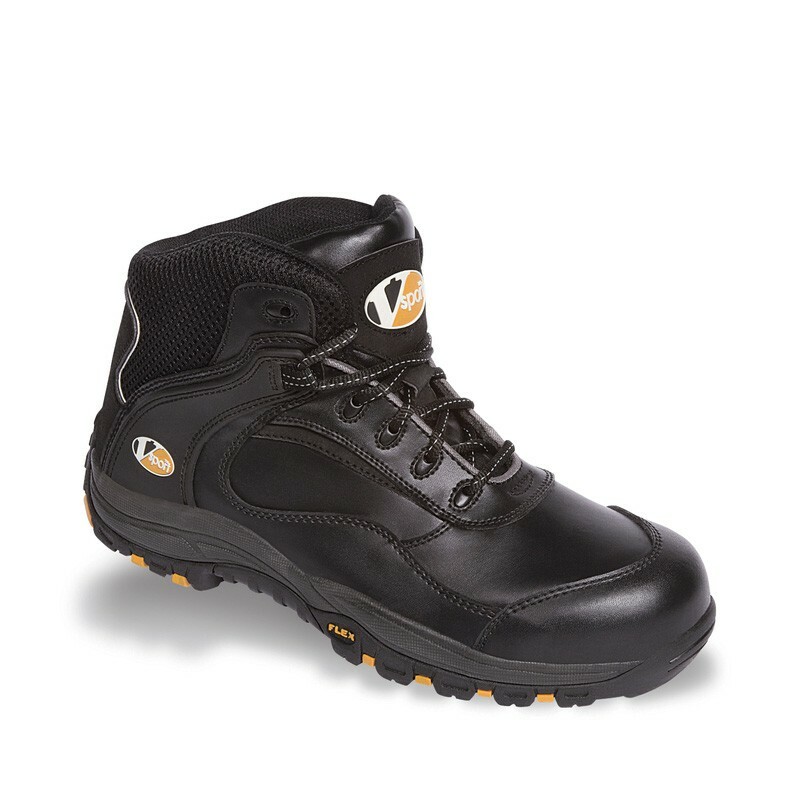 The Smash is a superbly practical and stylish safety trainer boot in wipe clean action leather. Now with the new Sportflex sole, composite toecap, shock absorber footbed and ankle stabiliser. Padded, moisture wicking and breathable lining - cool in the summer - warm in the winter. Sportflex highly flexible rubber sole with a Phylon shock absorbing layer for extra comfort. Ladder grips - provide extra slip resistance when working on ladders or steps. Nylon fisheye lace system - easy to adjust to achieve the perfect fit. Reflective flash for added style. Conforms to EN ISO 20345:2004 S1P SRC HRO.